Impossible is a show I've wanted to go and watch for a while with my dad as we're both big magic fans, so of course when his birthday was coming up I knew exactly what gift to get him. I purchased us tickets in the Royal Circle to go and see some (hopefully) amazing magic performed. One thing you should know about my Dad before I write about the magic, is that he was once booted out of a magic show when he was a child because he kept explaining how all the tricks were done. Although he wouldn't shout out in a crowd these days, I was a little nervous he may not be too impressed! I've never been to a magic show before so I really had no idea what the quality would be and whether it's more or less impressive than when watched on a TV show. Turns out, my Dad wasn't the annoying person explaining everything as I had a guy sat next to me (attempting) to explain every trick to his less than impressed girlfriend, I was very glad I couldn't hear everything he was saying so he didn't ruin any of the magic for me thankfully! I'm not going to write a full explanation of each trick or a complete walk through of the show, as despite the fact it's finished in London now, I do still think it's something that should be experienced. I will however write about my favourite performers of the evening, as if you can catch any of their solo shows (which I'm sure will pop up at some stage if not already) you should definitely go. 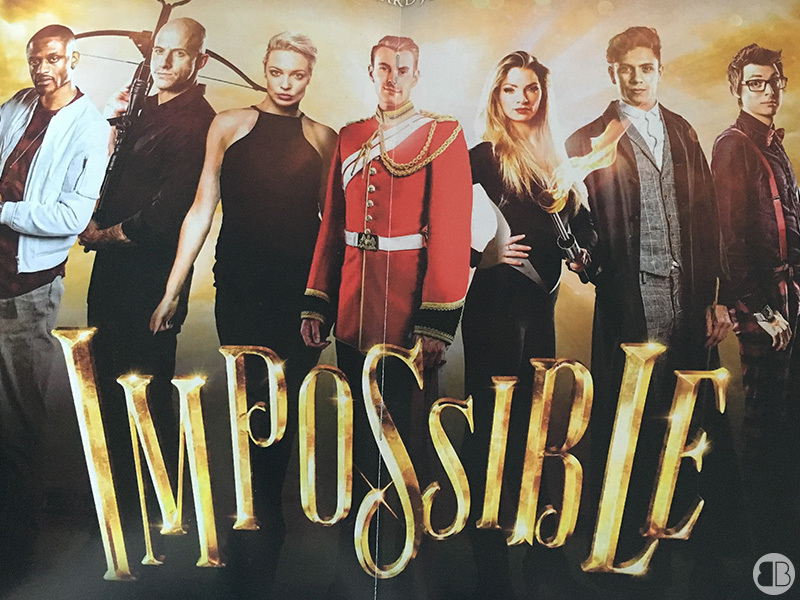 All of the pictures below are photographed from the brochure I bought at the theatre. Magical Bones, was easily one of my favourites of the night, from the second he danced his way onto the stage. Not only was I impressed with his magic, but his seriously skilled dance moves were great too. He was very likeable and funny, being funny on stage while creating some great magic can be quite rare at times, you usually get one or the other. One of his tricks included everyone in the entire audience ripping paper up, rearranging the pieces and throwing some away, leaving you one piece in your hand and one in your pocket, which once you're only holding one piece you'll find it matches up with the piece in your pocket. 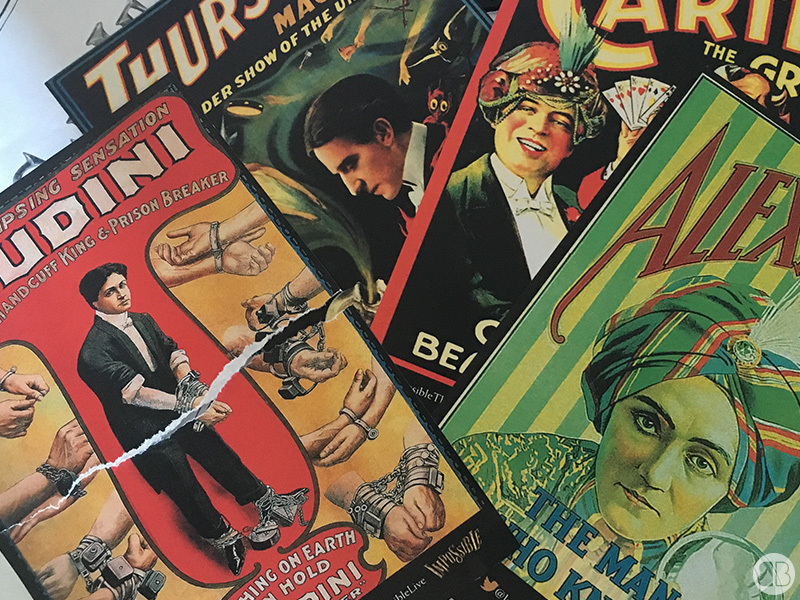 Really lovely trick and the pictures you tear up are really quite lovely, so much so I grabbed a second untouched set. Everyone will end up with matching ripped pieces (although might be any of the four images), the only way you'll end up with odd pieces is if you follow the steps incorrectly, which a few people around did end up with mismatched pieces. 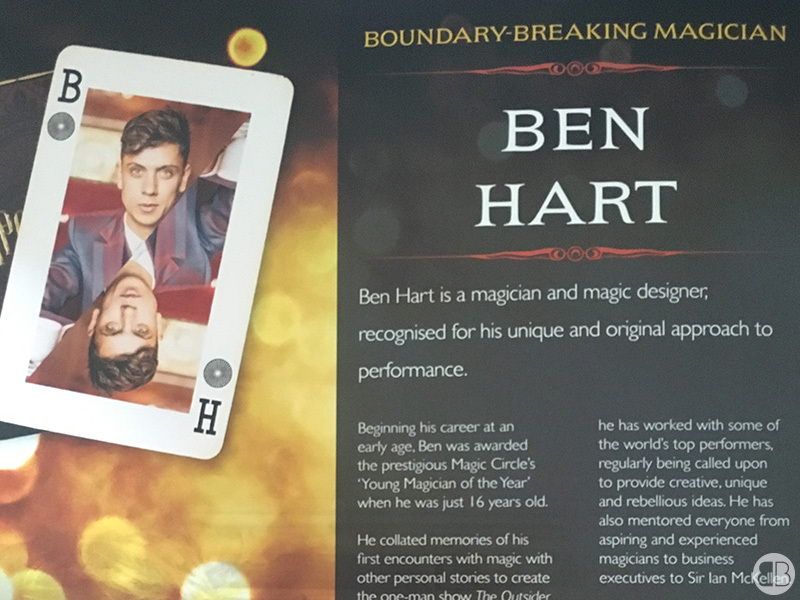 Ben Hart, was immediately one of my favourites, his style of presenting was utter perfection, the way he tells a story through his magic is just wonderful. I cannot stress enough how much I enjoyed his performances, the only shame was that the 2nd act had a technical fault so I never got to see how that ended, but even though it went wrong it did not sway my opinion of him at all. Seeing live magic will always have a risk attached to it, whether it's a technical thought or a dangerous trick going wrong, I think that just adds to the magic of it all, the fact it may go wrong makes it all the more exhilarating. The two performances that did go to plan for him were visually stunning to look at, and in particular I loved his Mime act, as something so simple was equally skilful and beautiful to watch. It completely held my attention and I was genuinely a little sad every time he left the stage, definitely a magician I want to see again, and I will likely look out for a solo show I can head to as I want to see more of his magic and story telling! 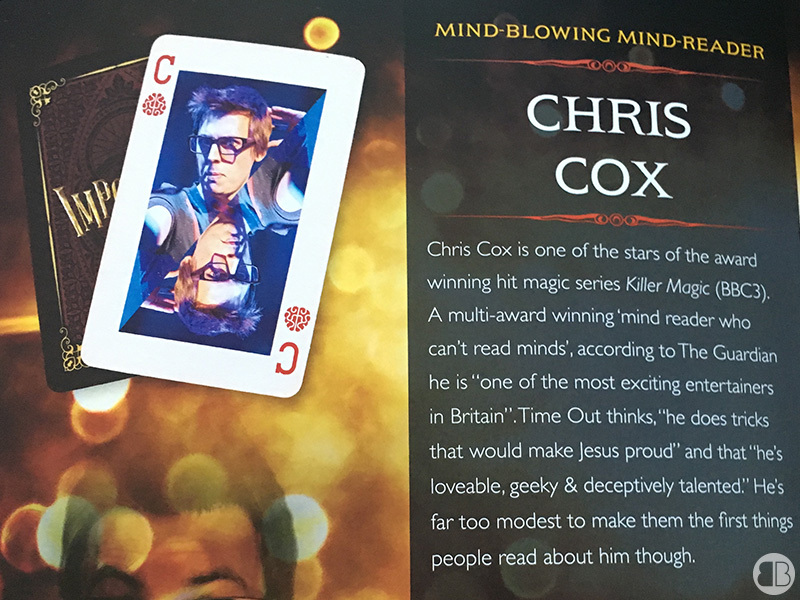 Chris Cox, is the final magician I wanted to write about on this post as I was seriously impressed with his act. To be honest with you all, I normally dislike mind readers, the tricks are usually all very easy to work out and/or boring, both of which are not applicable to him. I really loved his act, it wasn't easy to work out and it was actually really entertaining. 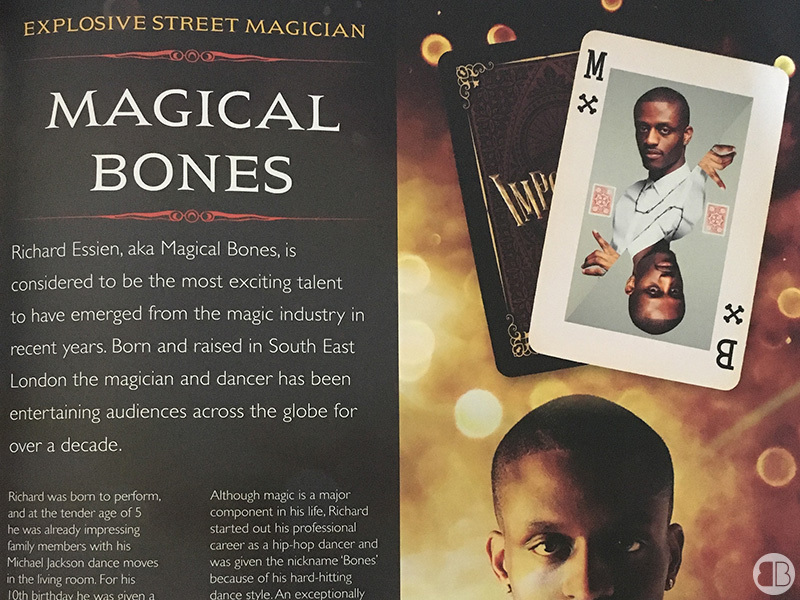 I remember seeing him perform on Killer Magic before, but as I hadn't really looked up who was performing at Impossible I didn't realise until he walked onto the stage, so it was another nice surprise. His energy and enthusiasm is hypnotic, his performance was full of fun and I found myself laughing the whole way through, not because he was bad but because he was just hilarious. I've mentioned above, but I really do love magicians who use humour within their acts, it's adds an extra entertainment value to the show which I really enjoy. One of his tricks involved 'reading the minds of audience members', which was really great, made amazing by the reactions of the audience members. You could see some of the audience members waiting to disagree with any of his statements, but slowly the amazement washing over them as he kept saying the correct things and essentially dazing them with his brilliant mind reading! I particularly liked when he read one of the guest's minds and ended up stripping down to just a pair of leggings and a R2D2 swimsuit. Which incredibly, I've later learned that he is also a Sharkie, so I ended up loving him even more! (Sharkie: someone who buys clothing from Black Milk) Gotta love a male sharkie, plus he's actually really lovely to talk to, which makes everything more worthwhile when you're paying to see someone perform when you know they are nice people too! Of course I will need to mention Richard Jones (winner of Britain's Got Talent 2016) who was also performing, however he was purely a guest appearance rather than a main act for me, don't get me wrong I really liked his act but it wasn't a highlight for me. I'm sure many people may disagree, including the little girl sat next to us who was incredibly excited to see him perform. 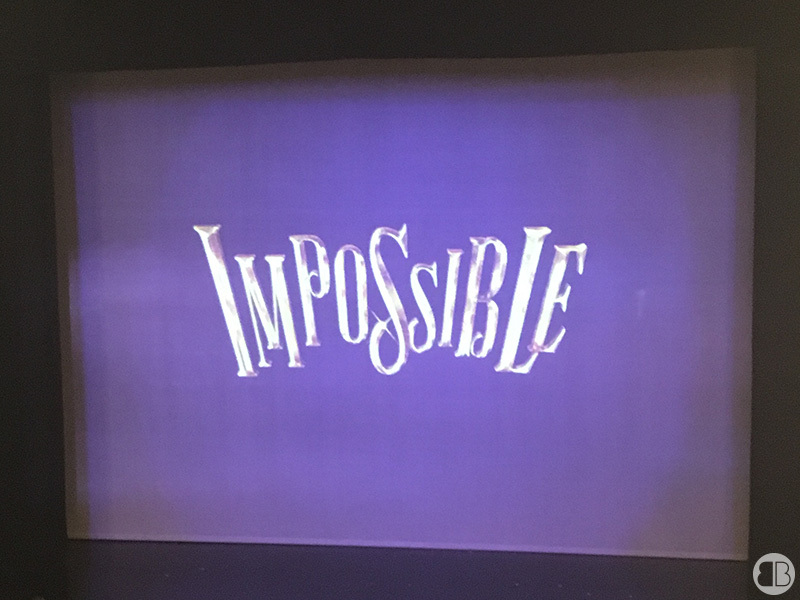 Have you seen Impossible Live? What did you think of it? 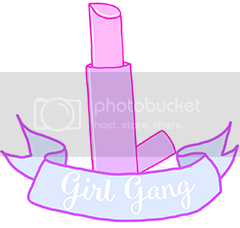 I'd love to hear your opinions down in my comment section below!